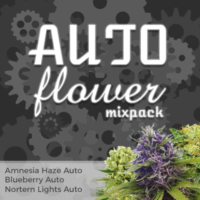 AK 47 feminized seeds are a perfect choice for the indoor Cannabis grower, regardless of their level of experience or expertise. 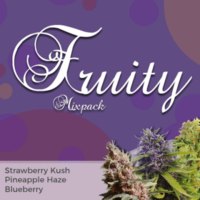 First created in 1992, this highly awarded strain offers exceptionally high quality Cannabis from very stable and uniform plants, and as has been the foundation for many subsequent strains. 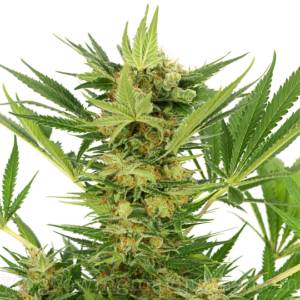 This is one of the easiest Sativa dominant strains of Cannabis to grow, an ideal choice for the novice grower, and one which can be perfected by the more experienced.The ak strain loves growing indoors, where, given the correct conditions, it will flourish into one of the most compact and shortest Sativa dominant strains available. 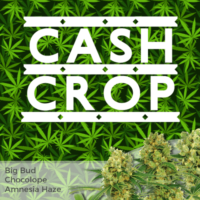 Selected and packaged under laboratory conditions you are assured of the highest quality AK 47 seeds. Unlike many seed banks and producers, these seeds are not sold as ‘souvenirs’ we expect you to plant them and produce your own weed. As such, each AK 47 Medical Marijuana seed you purchase is guaranteed to germinate, producing a healthy, vibrant plant, no more bad or non-germinated seeds to worry about. 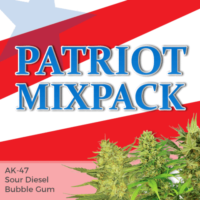 AK-47 provides a very strong, powerful high that for many light-smokers can be a little too intense. Known as the ‘one-shot wonder’ it provides a happy, creative feeling that, when used in moderation, can be very uplifting, talkative and sociable, while allowing the gentle indica undertones to relax the body, relieving stress and tension. Sativa dominant hybrid with a reduced flowering period.Grows well indoors, both in soil and hydroponic set-ups’s. I’ts easy to grow nature helps reduce the effect of many errors and mistakes, making it a perfect strain for both beginners and more experienced growers. Limited stretch during flowering, perfect for tent ‘grows’, Sea-of-Green (SOG), and Screen-of-Screen (SCROG) techniques. AK 47 can help relieve stress and pain, creating a more ‘up-beat’, positive attitude as well as increasing appetite and inducing sleep. If you follow the germination instructions exactly and your cannabis seeds do not germinate, then they will be replaced for free. If less then 50% do not germinate, the I love growing marijuana seedbank will replace double those seeds in your next order. If more then 50% do not germinate, free replacement seeds will be send right away.